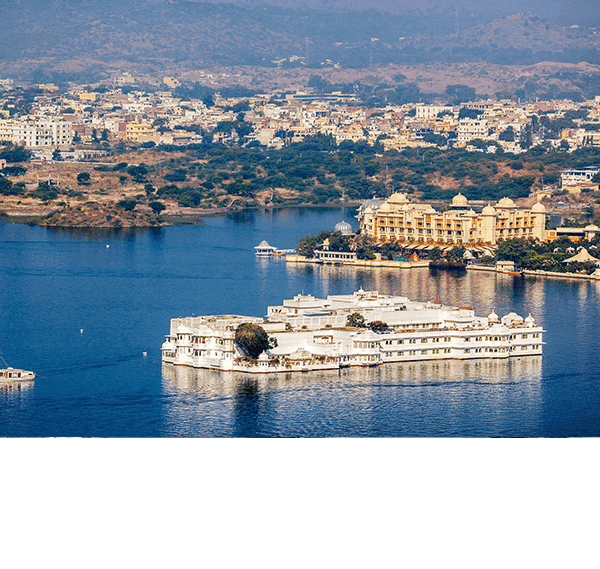 Planning to explore the beautiful lake city of Udaipur? Then Rajputana Cabs is available at your service with our Udaipur Sightseeing Packages. 1.Udaipur Darshan in sedan taxi cabs. 2.Udaipur Sightseeing in Toyota Innova. The above fare is All Inclusive, & along with this, you can hire a tour guide for Rs 500 per day (Hindi & English language). This is an 8 hours sightseeing tour, where we will visit all tourist sites in Udaipur, that are open from 9 am to 5 pm. 2.Rs 2500 in Toyota Innova Taxi. Also book a tour guide Rs 500 (Hindi + English language). Rs 900 in Sedan cab with driver. Rs 1200 in Toyota Innova Cab. Ranakpur temples are 90 km from Udaipur, and Kumbhalgarh Fort is 50 km from Ranakpur. 1.Drive for Chittorgarh on Day 2. The total distance from Udaipur to Chittorgarh is 140 km. Lake Pichola – 9 am – 6 am | Entry free..
Udaipur City Palace – 9:30 am – 4:30 pm | Rs 30+250 (Entrance + Museum). Bagore Ki Haveli – 10 am – 6:30 pm | Rs 60 + 100 (Entrance + Camera). Fatehsagar Lake – 8 am to 4:30 pm | Entry free..
Jagdish Temple – 4 am – 12 noon & 4 pm to 9 pm | Entry fee..
Sahelion Ki Bari – 9 am to 5 pm | Rs 5..
Shilpgram – 11 am to 7 pm | Rs 15 & Rs 25..
Manson Palace – 8 am to 6 pm | Rs 10 & Rs 80..